Function: Regulates Lung Qi and stops cough, stimulates the Lung Qi to descend, disperses fullness in the chest and stops pain. Indications: Useful for all Lung issues, especially cough, wheezing, asthma and fullness in the chest as well as local problems such as pain in the chest, shoulder and back. Function: Disperses fullness from the chest, stimulates the descending action of Lung Qi, stops cough. Function: Clears Lung heat and regulates Lung Qi. Function: Regulates Qi and blood, relieves pain. Function: Clears Lung Heat, stimulates the descending action of Lung Qi, expels phlegm from the Lung, benefits the Bladder, relaxes the sinews. Indications: Cough, hemoptysis, evening fever, asthma, sore throat, fullness in the chest, infantile convulsions, spasmodic pain of the elbow and arm, mastitis. Function: Regulates Lung Qi and causes Lung Qi to descend, clears heat, stops bleeding. Indications: Cough, pain in the chest, asthma, hemoptysis, sore throat, spasmodic pain of the elbows and arm. Function: Stimulates the descending and dispersing of Lung Qi, circulates defensive Qi and releases the exterior, expels exterior wind, opens the Conception Vessel, benefits the Bladder and opens water passages, opens the nose, communicates with the Large Intestine. Indications: Persistent cough, sore throat, headaches, migraines, stiff neck, facial paralysis, toothaches, pain and/or weakness of the wrist. Function: Diffuses the Lung and downbears Qi, courses wind and resolves the exterior. Function: Resolves phlegm, regulates Lung Qi, stops cough, tonifies Lung Qi, Lung yin and gathering Qi, promotes circulation of blood, influences pulse, clears Lung and Liver heat. Indications: Cough, asthma, hemoptysis, sore throat, palpitation, pain in chest, wrist and arm. Function: Clears Lung heat, benefits the throat. Indications: Cough, hemoptysis, sore throat, loss of voice, fever, feverish sensation on the palm. Function: Expels wind (both interior and exterior), stimulates the dispersing and descending of Lung Qi, benefits the throat, opens the orifices and promotes resuscitation. The lung meridian is largely responsible for governing respiration, as well as water and fluids around the body. It also has a large role in governing the chi of the body in general. 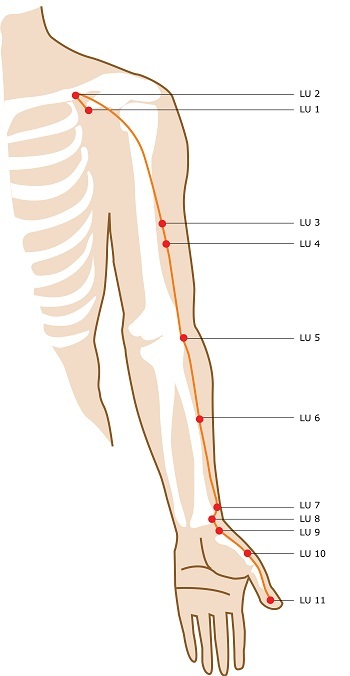 The lung meridian strongly influences the health of the skin and body hair. It also influences the healthy function of the nose. Treating respiratory disorders such as coughing, wheezing, asthma, dyspnoea (difficulty breathing), and shortness of breath. Healing the lungs from damage caused by pathogens. Treating nasal problems, such as nosebleeds or nasal congestion. Treating issues of the throat, such as soreness, congestion, swelling, dryness, and pain. Treating oedema (excess fluid retention) in cases where it is caused by the failure of the lungs to regulate fluid in the body. Treating vomiting in the cases when it is related to problems of the Stomach meridian. 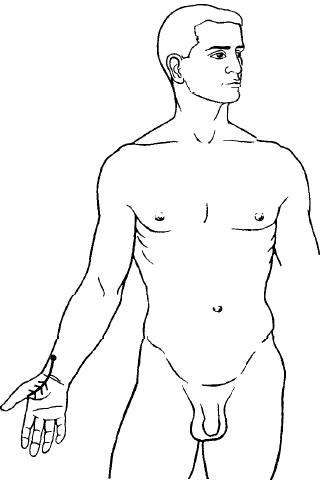 The Lung meridian begins on the front of the shoulder, and continues down the arm until it reaches the tip of the thumb. However, the Lung meridian also has various energy pathways that branch off of it, and sinews (muscle tissue) that is strongly affected by the energy of the meridian. The first extraneous pathway is the Lung luo-connecting channel. This energy pathway is very short. It separates from the Lung meridian at the point LU7, located on the wrist. From there, it goes down the arm onto the hand and spreads out across the part of the palm that is near the thumb. 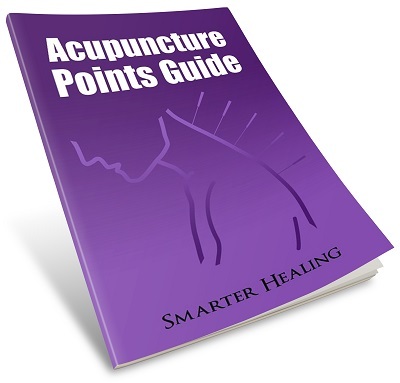 From here, it influences the energy of the Large Intestine meridian points that lie on the hand. 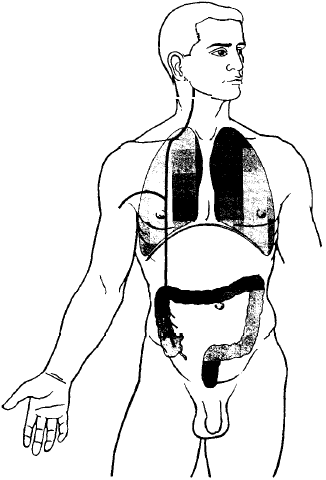 This energy pathway comes from the main Lung meridian on the shoulder area and splits into two, where one end goes up to the throat and the other end descends into the large intestine area. The portion of this pathway that goes up into the throat passes through the physical lungs on its way up, and then the end of it connects to the Large Intestine meridian on the neck area near the point LI18. The portion of the pathway that goes down disperses energy directly into the physical location of the large intestine. The final area of influence of the Lung meridian is the Lung sinew channel. The Lung sinews are an area of muscle that lie primarily along the main Lung meridian line. They start on the side of the chest and shoulder area, and descend down the arm along with the meridian line until they reach the thumb. 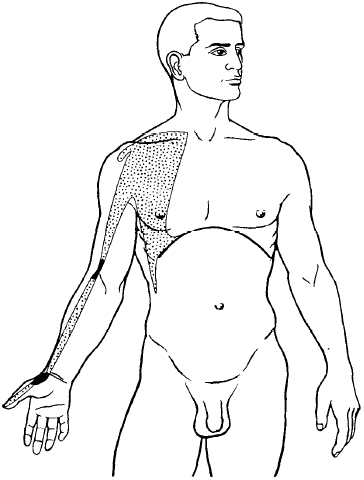 These are the tissue areas that are especially influenced by the energy of the Lung meridian.